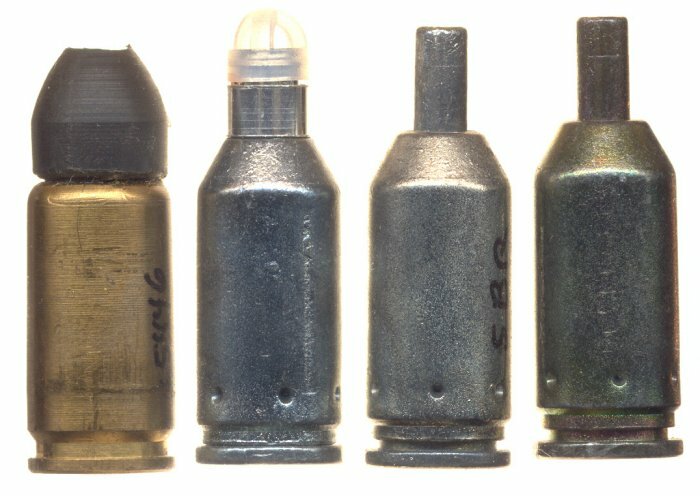 Ultimate Training Munitions (UTM) was formed in 2000 to produce and market a unique range of Training Ammunition designed to meet the needs of close quarter training scenarios in total safety. In addition to training cartridges, UTM sells a range of weapon conversion kits, training clothing and equipment and other items. The headquarters and manufacturing are near Mildenhall in the UK, and some production is planned in New Jersey, USA. In 2003 UTM was acquired by JEB Engineering Design Ltd a business specializing in high volume manufacturing technologies. In the following years increased product development and success in the market quickly followed culminating in the winning of a major contract with the US Department of Defense for their Close Combat Mission Capability Kit (CCMCK). UTM products are designed to make training as realistic as possible. UTM provides a complete Training System solution for use with 5.56mm, 9mm, .357SIG and .40 caliber Weapons. UTM offers Man Marker Rounds (MMR) Target Bullet Rounds (TBR) and Blanks (SBR& BBR) for use in Pistols, Rifles, SMG’s and Machine Guns. Those shown below are all 9 x 19mm Parabellum. The original UTM cartridges were made by PMP in the Republic of South Africa. These cartridges were first encountered in 2001 and the design, particularly of the blanks have evolved considerably since that time. The blanks have evolved from having the thin stem at the front to a more normal cartridge shape with a plastic projectile profile (black for BBR and white SBR). The brass case on these blanks had recently been replaced by an aluminum case. New style Battlefield Blank Round (BBR) with brass case-note that this round has been fired. The SBR (Silent Blank Round) operates a weapon without a loud report and is safe to fire very close up. The BBR (Battlefield Blank Round) provides a loud report but is not safe near the muzzle of the weapon. The UTM 5.56 marking rounds were recently type designated by the US Army (5.56 UTM marking round “rifle” as the M1042 5.56 UTM marking round “linked” as the M1071). Early style Silent Blank Round (SBR) Note the SBR has a single primer. 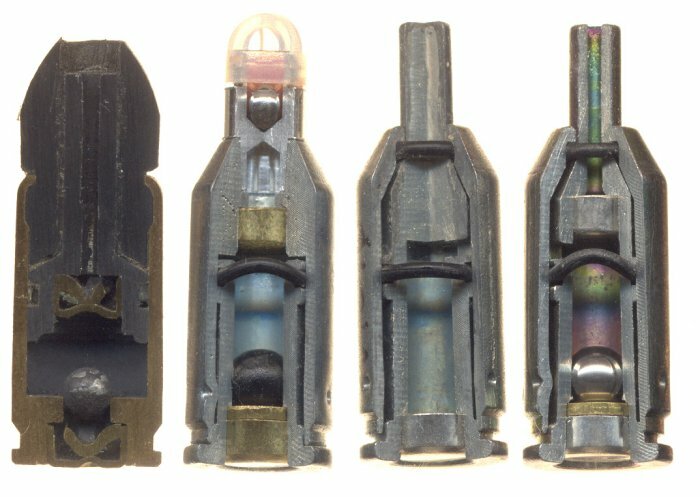 SAFETY WARNING: As these cartridges become more common, some are being cut up. Be careful, some of these rounds have a second primer up inside the cartridge.. They also have loose bits inside the round. The second primer is initiated by the steel ball that sits above the lower primer. Note the round on the left (a battlefield blank) has been fired. Note the SBR has a single primer. US – 6253682, 6371028, 6427066, 6095051, 6378439, 6422149, 641518 & 6415719 with additional patents pending.